My latest shawl design - Spreading The Love - is a half Pi, semi circular shawl featuring stripes, stocking stitch and a fun star shaped stitch. Formed by passing a yarn over, over several stitches this stitch is given the rarely used, but quite amusing abbreviation PYOO. For those who share my slightly juvenile sense of humour I thought you might appreciate the explanation. Essentially you work a yarn over and then knit several stitches before slipping that yarn over, over them. 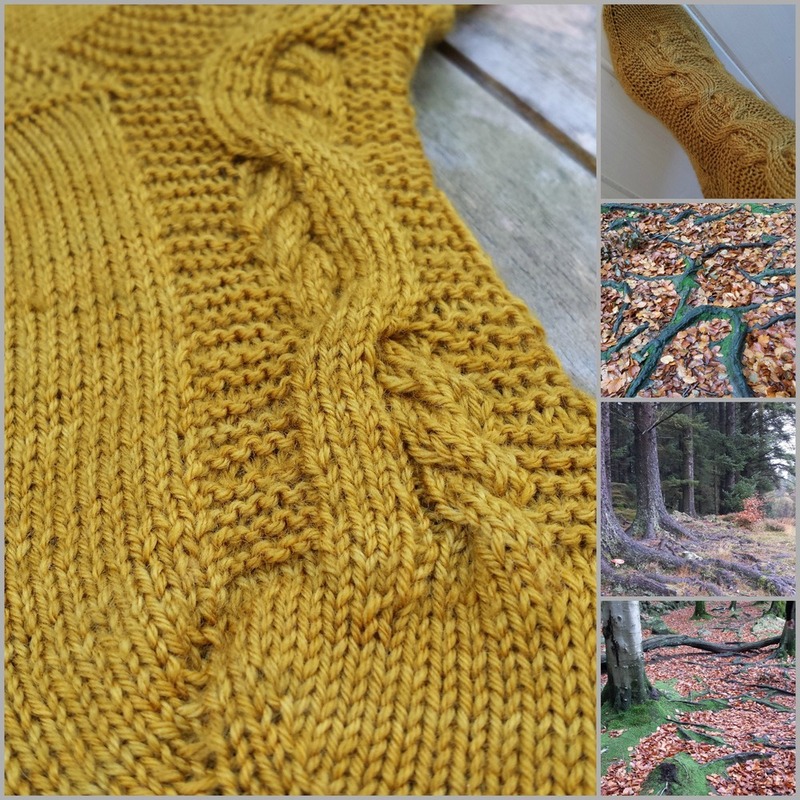 The end result is an atrractive 'bar' of yarn which sits neatly across the base of your worked stitches, adding texture without affecting your stitch count. It works well with this Wenslydale and Shetland blend, but would also give a very interesting effect with a variegated yarn too. I would be really interested to know what you think of it. So why not give it a go and have a PYOO today? March 19th sees the start of the Spring Forward KAL running in my Ravelry group. With Spring very firmly in mind, pick a fabulous yarn from your stash and any of my self-published patterns (either free or paid). It can be a colour that reminds you of spring or the name of the pattern, yarn or dyer. Anything that links in your mind to Spring and encourages Spring-like thoughts is fine by us. Or you could interpret it as 'springing forward' into a new challenge. Maybe this is the time to try toe-up socks if you've always been a die-hard cuff-down knitter? Or maybe you'd like to try cabling without a needle? In short - any way you can make it work is absolutely fine. If you've ever taken part in one of my KALs before you will know that we are not friends of the Knitting Police. The only 'rules' are that you must be a member of my Ravelry group to join in the fun. Sharing of posts on social media is always encouraged - please use the hashtags #springforwardkal2016 and #louisetilbrookdesigns so that we can see what you are up to. The KAL runs until May 1st, you will have plenty of time to knit up a wonderful spring-themed pair of socks or maybe a light and airy shawl?